Gov. 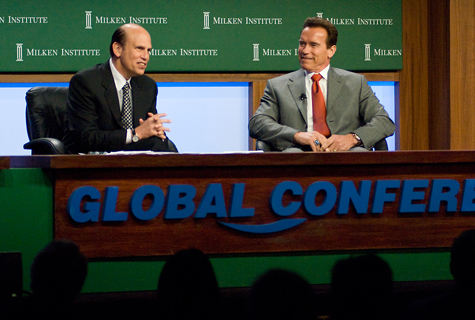 Arnold Schwarzenegger and Mike Milken discussed a wide range of topics relating to California's infrastructure - its roads, bridges and schools, as well as the development of environment-friendly technologies - at the Milken Institute's 11th annual Global Conference. Mike compared the lack of U.S. investment in infrastructure to more robust spending in developing nations, and urged Americans to travel overseas to get a first-hand view of other countries. Learn more about the Global Conference.